Q-Mark Portable plug-in thermostat is suitable for 202SL under desk heater. 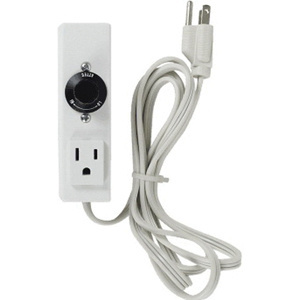 The snap action thermostat in white color, has plastic case for durability. It has a voltage rating of 120-Volts AC, current rating of 10-Amps and power rating of 1200-Watts. It includes 3-prong, 5-ft white cord and plug.